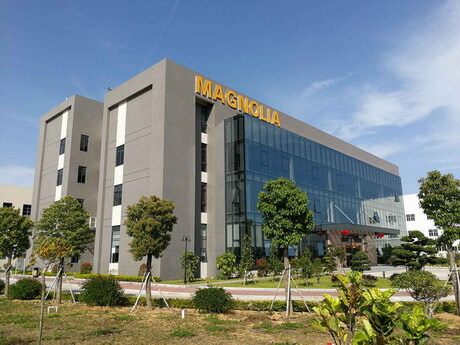 Guangdong Magnolia Packing Machinery Co., Ltd.,was established in 1997, located in Shantou, Guangdong, covering an area of 30000 square meters, has been designated China national high-tech enterprise and Guangdong provincial private technology enterprise, and has passed the quality management system of ISO9001: 2008 as well as environment management system ISD14001:2004. Products have been granted the CE certificate and patents home and abroad, also, have been awarded several times both municipal and provincial technological progress prizes in Shantou city and Guangdong province. In addition, Magnolia had led and participated in some works of various printing machinery industry standards made. For more than 10 years, Magnolia persists in the corporate motto of “innovation leads to victory, cooperation contributes to success” and takes “Quality and Reputation First” as the managerial concept and makes “Magnolia Machine, Pioneer in Post-press”the marketing concept. Magnolia believes that talented staff and technical innovation are foundation and guidance of corporation development. Magnolia devotes to the research and development of special printing equipment with features of environmental protection, anti-counterfeit, energy-saving, high-efficient, novelty and low cost. Based on product quality consolidation, Magnolia enhances constantly the automation and adaptability of products to improve the core competitiveness gradually and aims to build a global Magnolia.